Israel in Future Prophecy: Is There a Larger Restoration of the Kingdom to Israel? addresses some of the controversies and problems that have been caused, by what is commonly known as the Two-House movement/sub-movement. 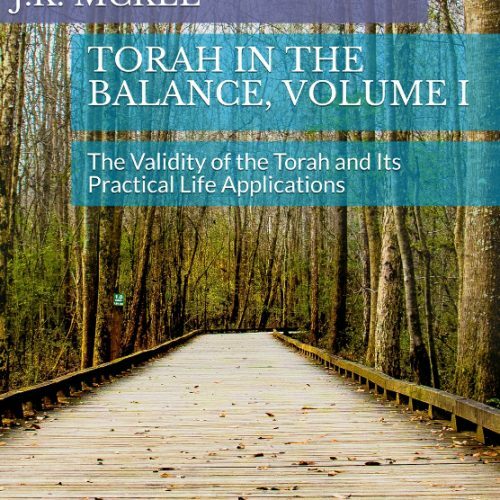 This book attempts to sort through much of the religious politics and abuse that one commonly encounters when poignant questions are asked about what is happening in today’s Messianic community. It intends to provide some preliminary resolution to the issues which are Biblically-rooted, and are engaged with contemporary Jewish and Christian scholarship, providing some viable alternatives to the posturing more likely to be encountered. In too many Messianic settings, when questions are asked about Biblical passages like Isaiah 11:12-16; Jeremiah 31:6-10; Ezekiel 37:15-28; and Zechariah 10:6-10, among others, polarized extremes are likely to be witnessed. One side makes these kinds of verses a central part of its spiritual identity—even more important than faith in the Messiah. Another side, when encountering past abuses, tends to totally dismiss legitimate questions and expectations that such passages pose. How can Bible readers have a mature approach to a larger restoration of Israel, prophesied in the Holy Writ, which is able to navigate through much of the immaturity detectable? A significant question asked by the Apostles, before Yeshua the Messiah (Jesus Christ) ascended into Heaven, was, “Lord, is it at this time You are restoring the kingdom to Israel?” (Acts 1:6). Recognizing the restoration of Israel as a critical part of the Apostles own expectations of the Last Days—might there be any aspects of the restoration of Israel, beyond the rebirth of the State of Israel and many Jewish people coming to faith in Messiah Yeshua, that any of us have missed? Is there possibly more to be anticipated in future salvation history, as it concerns the emergence of the Messianic movement, non-Jewish Believers embracing their Hebraic Roots in a very tangible way, and many turning to the truths of God’s Torah? 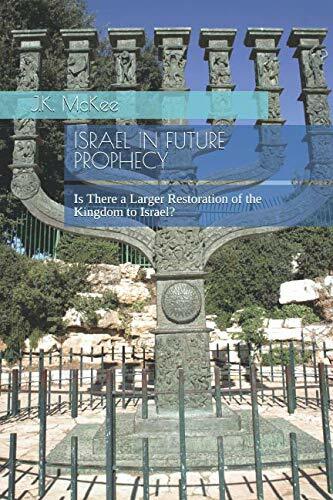 Israel in Future Prophecy: Is There a Larger Restoration of the Kingdom to Israel? addresses some of the controversies and problems that have been caused, by what is commonly known as the Two-House movement/sub-movement. 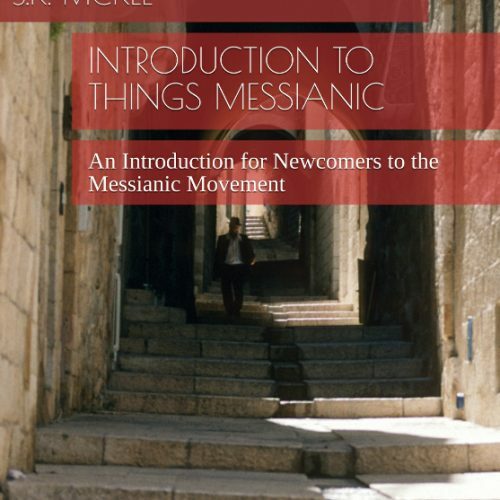 This book attempts to sort through much of the religious politics and abuse that one commonly encounters when poignant questions are asked about what is happening in today’s Messianic community. It intends to provide some preliminary resolution to the issues which are Biblically-rooted, and are engaged with contemporary Jewish and Christian scholarship, providing some viable alternatives to the posturing more likely to be encountered. Above all, this publication directly takes on over-statements, exaggerations, and sound bytes offered by prominent advocates within the Two-House sub-movement, providing more Scriptural answers to welcoming in the many masses of people from the nations, as a part of the Commonwealth of Israel (Ephesians 2:11-13) or the Israel of God (Galatians 6:16).